The Santorini represents the ultimate in our Mediterranean Diet collection. Building on the components of the Capri, the Santorini features the basic ingredients for cooking with the Mediterranean diet in mind. 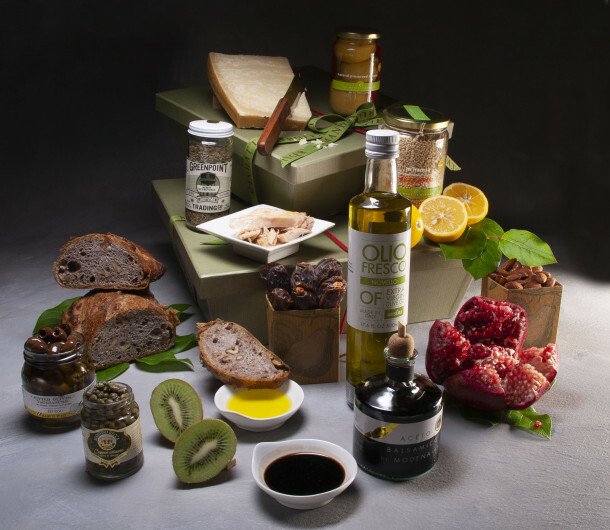 This hamper includes extra-virgin olive oil and balsamic vinegar from Italy, a walnut peasant loaf from Amy's Bread, Parmigiano-Reggiano, Ligurian black olives, sustainable ventresca tuna, seasonal fresh fruit, two dipping dishes and small knife. 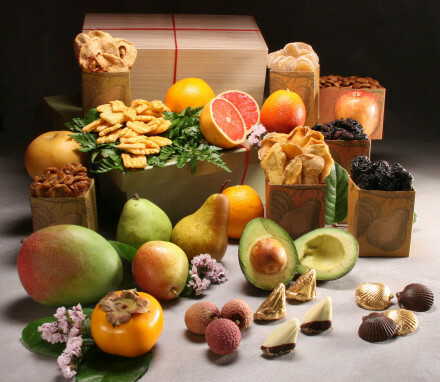 From this base we add nuts, dried fruit and whole grains that feature prominently in the Mediterranean diet. We selected roasted unsalted almonds, organic Medjool dates commonly grown in Morocco, and organic hand-rolled, sun-dried M’hamsa whole wheat couscous made using the same natural techniques developed thousands of years ago in parts of modern day Tunisia, Morocco and Algeria. Full of wholesome toasty flavor, this couscous is faster to prepare than pasta and a perfect addition to salads or soups, or complement to your favorite meat or fish dish. Mediterranean cuisine relies heavily on spices and herbs. 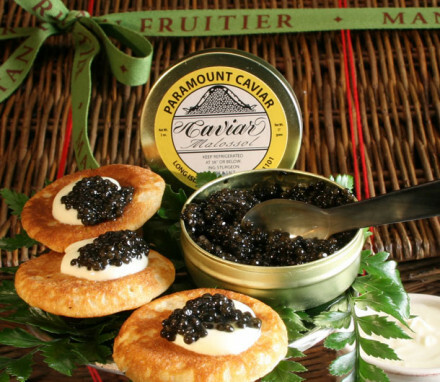 To this end we have included a jar of natural preserved lemons from Les Moulins Mahjoub, Tunisia; capers, which originate from shrubs native to the Mediterranean region and are imported from Spain; and Herbes de Provence, a medley of herbs commonly used in Mediterranean cooking and endemic to the area including oregano, rosemary, basil, sage, thyme, marjoram and lavender. Nothing is more in the Mediterranean-style of enjoying life to its fullest than a fine glass of rich ruby red wine. For a crowning accoutrement to this gift, contact us by phone, or refer to “Resources” on our home page for instructions on how to add a bottle of wine to your gift. Olio Fresco 2018 harvest extra-virgin olive oil is harvested and pressed the same week. Robust, fruit-forward olives this year produced an oil bright green in color with golden reflections. It has an intense aroma of herbal marks and apple peel overtones. The taste is incredibly fresh - grassy and buttery, with a peppery finish. 1 - Dried Fruit - Almonds - 5 oz.